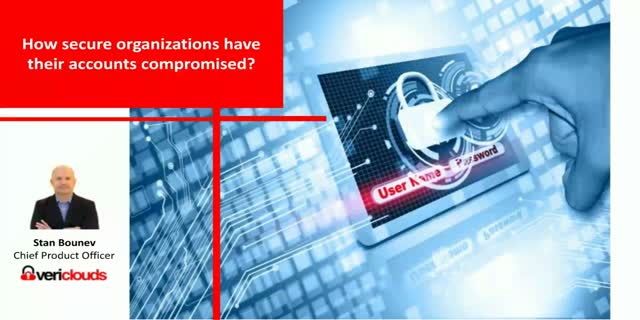 Enterprises spend millions of dollars on cyber security tools and services, but still many of them cannot distinguish the legitimate users from the attackers with legitimate, but stolen credentials. Stolen credentials leak at the Dark Web. Hackers take advantage of users who reuse their passwords. This fact allows attackers to hack an organization using the "front door" instead of using vulnerabilities or direct attacks to compromise the IT infrastructure. The account security of an organization is heavily dependent on the security of the other organizations where its employees or customers have accounts. In this talk, you will learn how attackers are able to compromise accounts of secure organizations which do not have vulnerabilities; and as an admin, what you can do to protect your organizations from Leaked Passwords attacks. We will look at case studies of organizations whose passwords have leaked and those that took proactive measures to keep their employees’ and customers’ accounts safe. This webinar will introduce the latest and larger security breaches around the world, and will show the attendees several ways and tips to stay safe and keep the most piece of information secure, their private information. Also they will find what to do in case of been victim from a security or data breach. Often the building blocks for a CTI program can be laid without the need for teams to spend a lot of money. In this session, we'll look at how Free and Open Source Software (FOSS) technologies and OSINT (Open Source Intelligence) can be leveraged to bootstrap a CTI program. The primary benefits of leveraging FOSS tools are (a) Agility - rapidly test tools to identify what works best for the organisation, (b) Identification of potential process gaps, (c) Implementation of "interactions" between key teams and (d) Being part of the broader FOSS/CTI community. What is cyber threat intelligence, and how can organizations leverage it to identify threats and potential malicious activity in advance? Discover the best ways organizations can arm themselves with actionable threat intelligence to block cyber attacks or mitigate their impact. Griff James, Director, Damrod Analysis Ltd. Cloud application development is accelerating and diversifying where many organizations have virtual machines, containers, and now serverless applications running in the cloud, transforming code into infrastructure. Microservices make a lot of sense for scale and development agility, but if everything is talking to everything else via APIs, it’s likely that there are many (and I mean many) application vulnerabilities. Additionally, API security is new, so processes are likely immature, and API security sits somewhere between application developers, DevOps, and cybersecurity, leading to organizational and skills challenges. We will organize this chaos from RSAC 2019 and discuss Security in the new API Ecosystem.